The Film Collection contains over one thousand 8 mm and 16 mm agricultural films, primarily produced by USDA, from the twentieth century. The collection is unprocessed; however, a list of titles is available. Some films may require special handling or conservation treatment prior to use. Transfer to digital format may be requested for a fee. 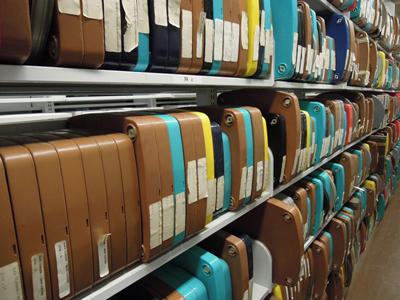 Contact Special Collections to request an appointment to view the films onsite. Special Collections does have other films in its holdings that are part of manuscript collections. Search the Index to Manuscript Collections for specific collections or use “film” as a keyword for a list of collections that contain films. Individual titles may not be listed unless there is a finding aid or box list available for the collection.